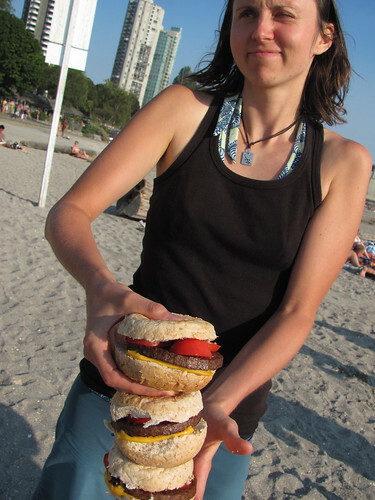 We had a BBQ at Sunset beach today. 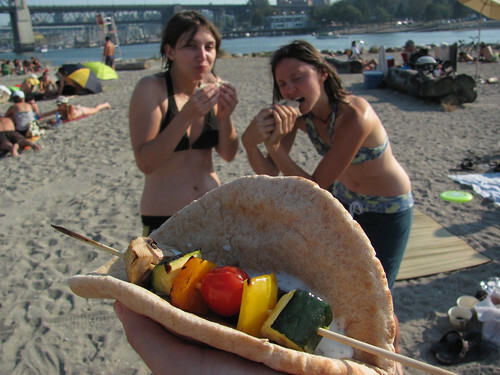 We ate pitas with delicous skewered meats and veggies and tzatziki. 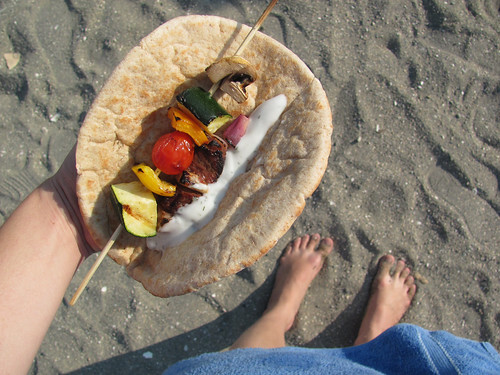 Mmmmm skewered things on a beach. Cute. 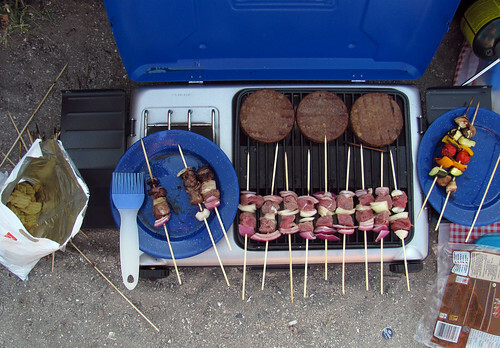 I should post those photos of the three of us: a behind-the-scenes look at Beach BBQ. And too much macaroni! Yes! I love the behind-the-scenes photos. And I don't have to eat macaroni salad again for a looooong time.